Chorální variace na "Veni creator"
Malá chorální partita "O Jesu, all mein Leben bist Du"
Five Verses on the !Victimae paschali" - IV. Five Verses on the !Victimae paschali" - V.
Many people think that usually the biggest problems faced by a person who wants to play the organ well are coordinating the movements of their hands and feet, reading so many lines of music, choosing registration etc. At first, that might be the case, as those are the first steps on the exceedingly long journey towards mastery of the king of instruments. Later, however, when all organists have already achieved mastery of these elementary matters, their path is blocked by obstacles that are far more treacherous and much more difficult to overcome. We constantly have to live with the technical difficulties of various kinds of tracker action, the variable properties of differing acoustical spaces, and the difficulties of listening to ourselves while playing. After all, how can one really listen properly and monitor one’s own playing when the sound sometimes lags behind the action of the fingers by a significant fraction of a second, or when we hear properly only a portion of the sound spectrum, while the important thing, what is going on with the music, is coming to us from somewhere up high or sometimes from around a corner? And do I know how the listeners down below in the church perceive my playing when I am meanwhile more or less hidden in an acoustic shadow? It seems to me that especially with the organ, it is terribly important for those who aspire to real professional playing to leave the comfort of the organ studios at conservatories or music academies and to get out into the field, and especially into churches, where one must deal with the long, harsh winter and the inconvenience of climbing stairs up to elevated organ lofts. That is the only place where one can acquire plenty of the experience that is absolutely essential. For decades now, I have been hearing complaints from both lovers of historic organs and musically knowledgeable, sensitive church pastors, who wonder why our conservatories and university music departments supposedly don’t train organists who can perform well when invited to play an instrument that they have not yet tried out. These skeptics have a rather good overview of the music scene in this country, and many of them have had unpleasant personal experiences. They know that many graduates of music schools are trained for reliable, technically accomplished playing without mistakes or slips, but unfortunately the students are not generally getting the feel that is required for historical instruments, which we are blessed to have in such quantity in the Czech Republic. Whenever someone asks me what the hardest thing about playing the organ is, I always say it is one of the necessary components of organ performing that cannot be taught almost at all, namely playing that is shaped by highly cultivated taste. Such taste can be cultivated at least in part only by regular contact with organs of various types and styles. Naturally, the instruments in question must be of good quality, such as those that we find in this country mostly among the historical instruments. Of course, what I have in mind is the entire range from the oldest artifacts through to organs that are virtually modern. 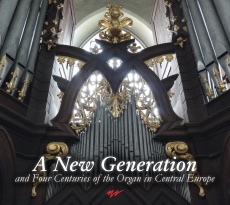 With a bit of hyperbole, I always say that even an organ that has just been inaugurated immediately becomes an instrument of historical value if it is of sufficient quality. 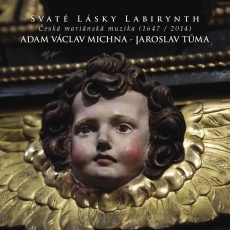 The making of recordings on a number of organs in this country and abroad by organ performance students at the Academy of Performing Arts in Prague (and a few guests) was a component and a condition for realization of an interpretation survey, which took place during 2014 and ’15 thanks to the successful participation of the project author (Jaroslav Tůma) in a project competition at the Academy of Performing Arts in Prague (AMU). A number of music students from AMU, recent graduates, and guests participated in the survey. Of the twenty-three organists and harpsichordists who took part, fifteen are presented in this two CD collection. Many of them have been successful at various music competitions and have taken part in master classes in this country and abroad or have completed long-term study visits abroad. They devote themselves to giving concerts and teaching. Ivana Michalovičová is a graduate of the Prague Conservatory, and Marie Zahrádková graduated from the České Budějovice Conservatory, then continued her organ and harpsichord studies in Stuttgart (Jürgen Essl). Dan Knut Pernet is from Nový Bydžov, where he completed his secondary school studies. Juraj Slovík and Vladimír Kopáčik are graduates of the Bratislava Conservatory in Slovakia, and Marek Mosnár studied in the Slovak city Topoľčany. Pavel Svoboda studied in Pardubice, and his greatest success was the title of laureate earned at the Prague Spring International Competition. He is also the artistic director of the F. L. Věk Festival in Dobruška. As part of the Erasmus student exchange programme, Peter Höngesberg from the Katholische Hochschule für Kirchenmusik und Musikpädagogik in Regensburg and Tomasz Soczek from the Karol Szymanowski Academy of Music in Katowice also made recordings. At the time of the recording sessions, all of the performers listed above were students at the Academy of Performing Arts in Prague in the studio of Jaroslav Tůma. Marie Pochopová, a graduate of the Prague Conservatory, studied at the Academy of Performing Arts in Prague in the studio of Josef Popelka, while Ondřej Valenta, a graduate of the Prague Conservatory, and Ludmila Macková, a graduate of the Kroměříž Conservatory and of the Bachelor’s study programme at the Janáček Academy of Music and Performing Arts in Brno, studied in Pavel Černý’s studio. Michaela Káčerková is a graduate of the Academy of Performing Arts in Prague (Jaroslav Tůma), Hochschule für Musik und Theater Leipzig (Stefan Engels) and the director of the J. C. F. Fischer Festival. Iveta Zaťková is a graduate of the Academy of Performing Arts in Prague (Bachelor’s study programme, Jaroslav Tůma, Pavel Černý) and of the Katholische Hochschule für Kirchenmusik und Musikpädagogik in Regensburg (Master’s study programme with Stefan Baier). Juraj Mičúnek graduated from the Academy of Performing Arts in Bratislava (with Imrich Szabó) and is a professor at the conservatory in Topoľčany. 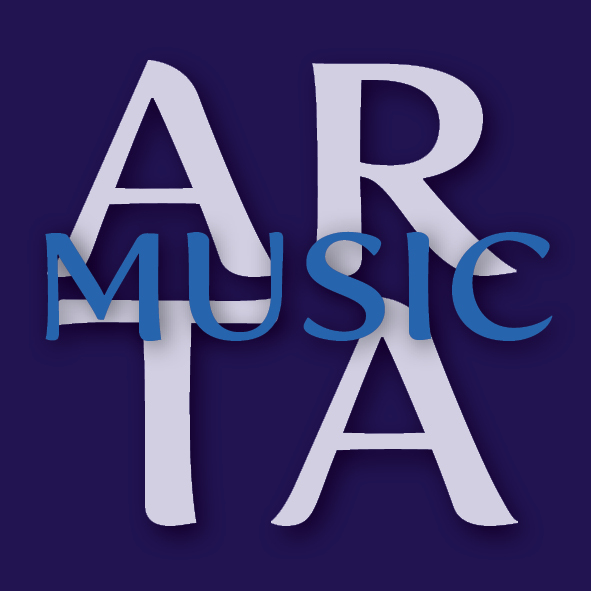 All of the recordings were edited with the participation of the performers, so there was a chance to make corrections, but editing was intentionally limited, so that all of the performances would really be a true demonstration of the artistry of all of the organists and would not be unnaturally enhanced. I come away with the most valuable experiences from working together with students and recent graduates thanks to the discovery that young people are very open to demands for careful, professional work and are also quite gifted and capable of inner concentration. The young generation has great artistic potential, and it brings us not only a great deal of joy from beautiful performances, but also the hope that nothing has been lost and that we shall again and again encounter artistic creation at its pinnacle. If we were to look only at the negative aspects of our times, we would be forced to despair and throw in the towel. Unfortunately, much of what we are now experiencing does not fill us with optimism. I therefore understand this two CD set as being in every respect a promise that our present times mean not only concerts for tourists that are, for the most part, of wretchedly poor quality, or the soulless repetition of the same old repertoire that one hears too often in an attempt to programme the most popular music possible, but also encounters with beautiful instruments that are brought to life through noble music, which can be characterized most fundamentally as daring, ageless, and enjoyable for everyone both today and in future generations, enriching the world within us.